Paul is the proud father of Brett, an accomplished cyclist. Brett participates in various cycling competitions including road racing, criterium and time trials around Melbourne, country Victoria and interstate. Paul is actively involved in Brett’s passion traveling with him to various events. 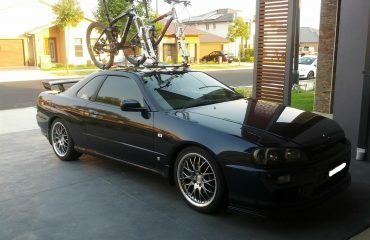 Paul’s preferred vehicle is the stunning HSV Senator. 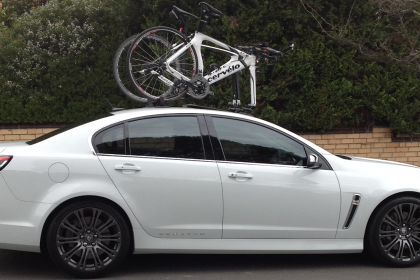 Along with Brett’s immaculate Renault Megane RS, the father and son team needed a bike rack solution to accommodate two bikes that would work on both vehicles. We will cover Brett’s car and his passion in more detail in a later post. We arrived at Brett’s house in the south-east of Melbourne to find two beautifully presented cars. As with every install we start with a quick clean of the potential surfaces so that no dirt can get trapped as we work through the various install locations. After discussing various mounting options Paul’s preference was to mount the SeaSucker Mini Bomber head-board in between the sunroof and the windscreen. Fist we checked for any clearance issues with the sunroof and discovered the Mini Bomber did not obstruct the sunroof when tilted. The pictures do not do this stunning car justice. 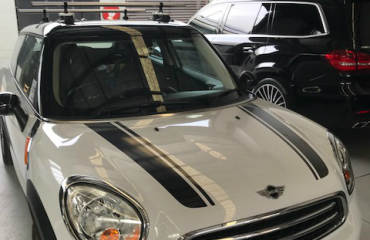 A super low profile install that Paul can view though his sunroof whilst traveling. The installation and removal take less than two minutes. The quick release fork mounts point outwards making it easier to use. 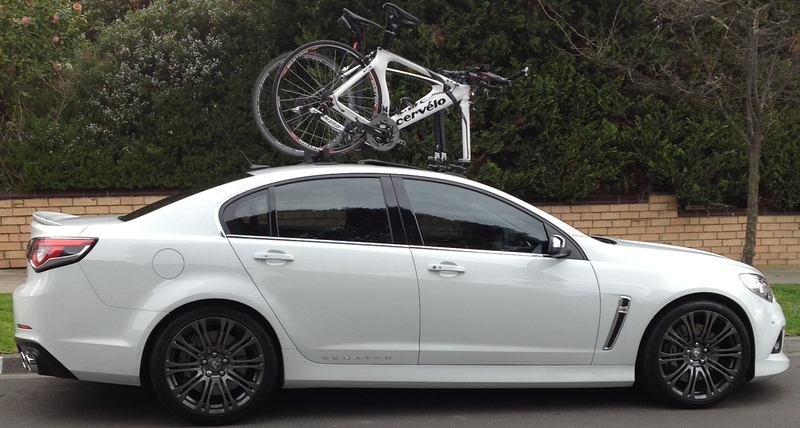 A highly flexible solution enabling both Paul and Brett to switch vehicles using the same bike rack. Paul and Brett did highlight a concern to us. 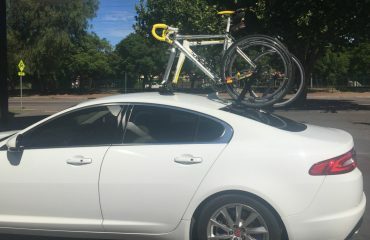 If the pedals rotated backward whilst in transit the bike could potentially make contact with the roof. We provided Paul and Brett with several 20 cms long by 1 cm wide Velcro strips to secure the pedals to the frame. We are happy to report that the Velcro is a perfect way to secure your pedals and will also include the Velcro strips as a standard kit with all bike racks.